Deep in the Rocky Mountains of Colorado is a little placed called Aspen-Snowmass. It has the allure of multi-million dollar homes, an endless supply of champagne, and restaurants that will drop a tab on your table higher than the can cost of your mountain bike. Among all the hype of the rich and famous are mountain bike trails undiscovered by most. Up high in the cool mountain air, deep in the lush green forest, hide seemingly endless tacky trails.This gem of a place is home to 140 miles of high-quality, non-motorized singletrack. Get to stunner views in all directions with climbs that will push the limit of your legs and lungs. The altitude here starts at 7,900 ft. Climbs can get up to 11,000 ft and higher. 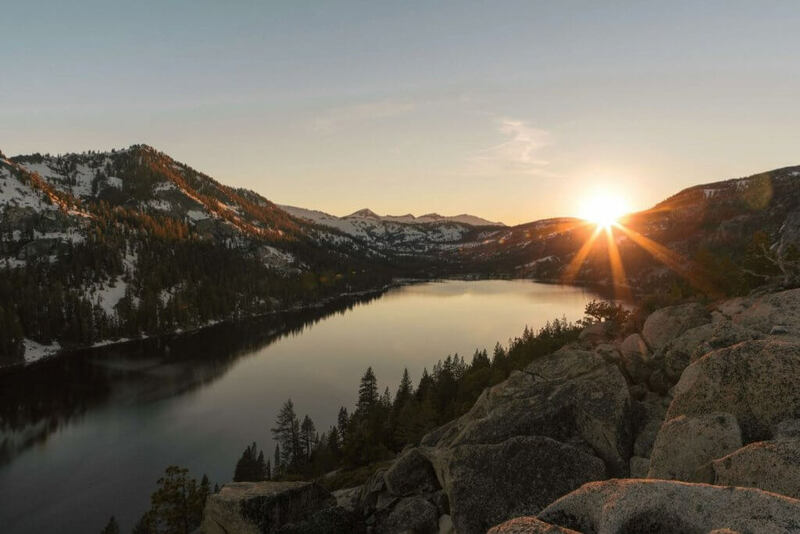 Give yourself a second for a quick breath, a view and a snack. Once ready, grip it and rip it down a variety of trails. Aspen Snowmass has every kind of riding available. Keep it mellow on Tom Blake, and Sky Mountain Park along with the bike park. Intermediate riders should check out Rim Trail, Deadline, Airline, and Hummingbird. Advance riders seeking a longer ride should look into Sunnyside from Smuggler and reverse Government trail back towards Snowmass to Sky Mountain Park, Vapor trail at the bike park along with Espresso to stage 5 is a great pedal with a really fun descent back to Snowmass Village for brews and food. Bike Snowmass should be on the list for at least 1 or more days for lift assisted bike park laps. For those that are not as inclined to bust off into the wilderness for hours on end, look no further than Aspen for a variety of activities. The Roaring Fork River which runs through Aspen and the entire valley has world-class fishing. Aspen has enough shopping to keep a teenage girl busy for days. There is also paddle boarding, rafting, floating, and hiking to name a few other actives for the rest of the family. World class dining along with the more casual dinner spots are all available. We suggest staying a night or 3 in one of the fancy hotels or get in early in the week to score a camping spot at either Weller campground, Difficult campground, or Maroon Bells (most popular, usually need a reservation).Aspen is a perfect get away from the city and heat. Plenty of watering holes to cool the toes after a full day in the saddle. It’s character as a world-class ski town makes it unique and gives the appeal of being in a little slice of Europe during the Summer. Don’t stick to riding in the summer only, fall in Aspen will blow your mind. Prime leaf-peeping season is late September into October. Aspen is a perfect getaway from the city and heat. Plenty of watering holes to cool the toes after a full day in the saddle. It’s character as a world-class ski town makes it unique and gives the appeal of being in a little slice of Europe during the Summer. Don’t stick to riding in the summer only, fall in Aspen will blow your mind. Prime leaf peeping season is late September into October. Pro Tip: Snowmass is for chilling out and Aspen is for the experience. You will almost certainly encounter a few entitled douche bags in Aspen. We’ve tried to highlight low key businesses that keep it real in the land of the rich and famous. Explore each section below to view our top recommendations for everything from mountain bike trails to restaurants to try during your mountain bike vacation in Aspen. Offering more than 50 miles of trail, and access via the Elk Camp Gondola and Elk Camp Chairlift, Snowmass Bike Park is covered with trails that cater to all levels. Regardless if you enjoy riding through the wildflowers on a mellow cross-country trail or would you rather see the flowers as a blur while you push the limits of gravity on a mind-bending freeride trail, Snowmass Bike Park has something for you. One of the most popular riding areas here in the upper Roaring Fork Valley. Sky Mountain Park offers something for everyone. Great place to take the girlfriend/wife. Incredible views with some fast bermed out sections of trail on Airline and Deadline. This loop ride is described as starting and ending at Buttermilk Ski Area’s parking lot. By studying the maps you can certainly start from downtown Aspen as well as easily design this loop ride to work from parking areas at the Highway 82/Brush Creek Road, Intercept Lot, or Rodeo Lot in Snowmass Village. Be aware of getting caught out in late afternoon thunderstorms; most trail rides in Sky Mountain Park require using the Skyline Ridge Trail which can be very exposed during lightning storms. Snowmass has the most advanced trail system in the valley that includes a 20+ mile Snowmass Loop with plenty of bailout options and ways to make the ride longer if so desired. 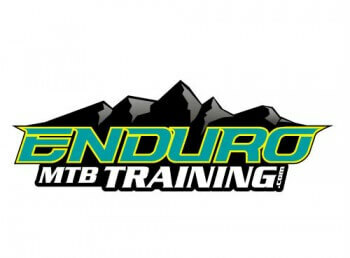 This is a great way to become familiar with the terrain and majority of trails in Snowmass. Check the link for more details. Take on the climb and enjoy the views on your way up Smuggler road. At the top, but not quite the top, awaits a variety of local favorites. The main local favorite ride that’s a bit longer and sure to crush your legs and lungs is “Sunnyside loop.” Ride Tootsie Roll to Lollipop, climb Hummingbird up to 4 corners then heads towards Shadyside. For the longer version, ride shadyside 1 and 2. Save some gas because the descent down Sunnyside is not the easiest. Be ready for some tight switchbacks and rocky chunder uptop. Finish off at the Roaring Fork River and a casual spin back to town for much needed adult bevys at either Aspen Brewing Co or Mi Cholia (has proper Mexican food). Prince Creek, and Mushroom Rock located in Carbondale a short 30 minute drive down valley from Aspen offers a fun variety of trails to ride. Nice place to switch up the scenery and score some more miles. Mushroom Rock is really fun if you like technical climbs. Be wary though, you can get turned around easily in the low scrubby trees. Prince Creek is XC friendly and has some great loops with huge views. Plus! A bit of camping but is very limited and frequented by high schoolers. This difficult trail packs enough punch to please even the most accomplished mountain biker. It begins with a challenging climb up Snowmass Ski Area and then traverses across ski runs and through dense evergreens to the Buttermilk Ski Area. Here, the trail roller-coasters through aspen groves and thrilling single-track, ending just outside of Aspen. 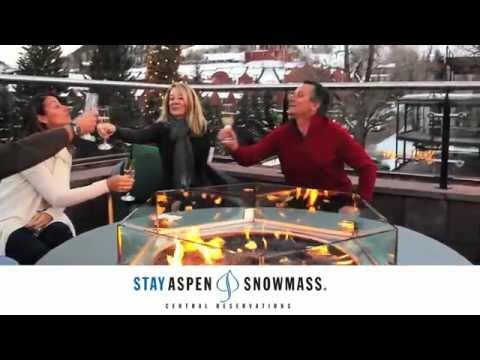 Stay Aspen Snowmass is a comprehensive listing service for lodging and vacation rental properties mostly focused on Snowmass. We recommend staying in Snowmass simply for budget reasons and venturing into Aspen for activities, dinner and shopping. Pro Tip: Look for a vacation property that offers access to the Snowmass Club which offers a fitness center, pools, drinks and spa services. After a long days riding, its nice to have the option to properly stretch, foam roll and use the facility’s hot tub and cold well to help you recover before doing it all over again. 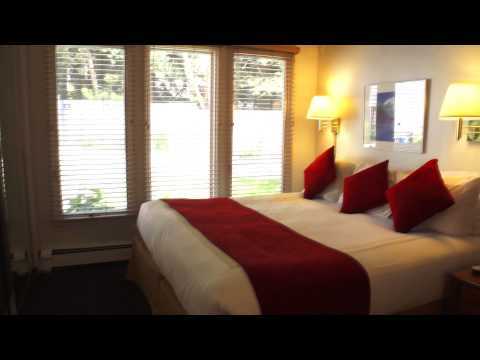 Cheapest in Aspen with a great location, simple breakfast, pool and European style lodging. Breakfast, pool, next to the bus stop, one block away from downtown. Fairly inexpensive (for Aspen standards). Adventure oriented, pet friendly, great for families, comfortable rooms, nice breakfast spread, cruiser bikes for town, pool and hot tub, decent rates (again, for Aspen standards). Jour de Fete is a great in and out or sit and eat kinda place. French cuisine with breakfast burritos, good coffee, nice patio, has a grocery store, liquor and weed shop all within 200 ft.
Big Wrap for your burrito fix. Not much room inside so order to go and find a park to chill in. New York Pizza is great for $5.00 slices and a cold beer. Open until 2 p.m. Note! NYP is cash only. Bring at least 10-12 bucks. Located at the top of Snowmass Village, Fuel Cafe is a great place to grab a breakfast burrito and coffee before you hop on the lift to shred the Snowmass Bike Park. Smoothies are good to. A little gem hidden in downtown Aspen. High end cocktails paired with meat, cheese, nuts and breads. Great place to unwind and tell lies with friends. Laid back craft brewery in the heart of downtown Aspen. Refreshingly chill, pet friendly with great beers. Can’t ask for much more. Largest and most experienced shop in town. Buy all of your things here. You can also get service quickly if they are not slammed with rentals or other people. Very friendly staff. More roadies than mountain bikers. Down valley shop that is core mountain biking. Will give great trail riding advice. Has a good selection of stuff you may want or need. Limited rental fleet. Difficult Campground has a 50-day stay limit providing a great opportunity for long camping trips. Located five miles southeast of Aspen, this 47-site campground has water and vaulted toilets for its guests and is heavily treed providing extra shade. Hiking, picnicking, and fishing are easily found onsite. On Saturday nights, enjoy campfire talks right on the campgrounds. Closest campground to Aspen and has the most amenities. Book early as this place is popular and fills up fast. Take Highway 82 for 5 miles southeast of Aspen, Colorado. Look for USFS Difficult Campground sign on the right, past Mile Marker 45. Just a quick five miles southwest of Aspen, these four campsites allow for an especially exciting camping experience. Hiking, biking, horseback riding, and wildflower identification are just a few of the recreational opportunities Silver Bell has to offer. Reservations are required and guests are limited to a five-day visit, so plan for a weekend to indulge in the great outdoors. Directions: Located 5.5 miles southwest of Aspen, Colorado, on Maroon Creek Road. From Highway 82 take the Maroon Creek Road exit at the roundabout on the West edge of town. Follow Maroon Creek Road to the Maroon Bells Welcome Station. Coming to Aspen via Independence Pass: Take Highway 82 West from downtown Aspen 1 mile to the roundabout (rotary). From the roundabout, take Maroon Creek Road 4.7 miles to the Maroon Bells Welcome Station. You will pass Aspen High school and Aspen Highlands Ski Area on the way to the Maroon Bells Welcome Station, Independence Pass (Highway 82) is normally open from Memorial Day through mid-October, weather dependant. Home to six campsites accommodating a total of 35 people, these beautiful spots allow direct access to the Collegiate Peaks Wilderness. From here, enjoy hiking, biking, fishing, and 4-wheel driving. This site also includes vaulted toilets, water and trash facilitates. Due to the five-day stay limit, no reservations are required, making this site perfect for a spontaneous weekend trip. Directions: From Aspen, CO travel about 11 miles southeast toward Independence Pass to Lincoln Creek road. Turn right on Lincoln Creek Road then drive 2 1/2 miles to campground entrance. The 2 1/2 miles on Lincoln Creek Road is gravel and rough but passable in two-wheel drive. Name is confusing but don’t let that deter you. They have tons of fresh digs for looking fly when not riding bikes. Radio does provide overnight bike service through a mechanic with 20+ years of experience. The owner and manager of the shop loves to ride and will give you the best advice on trails and loops. Not much biking stuff to purchase but you can get tires, cockpit set ups and some fly shades. Please check back for suggestions about Tours & Guides.